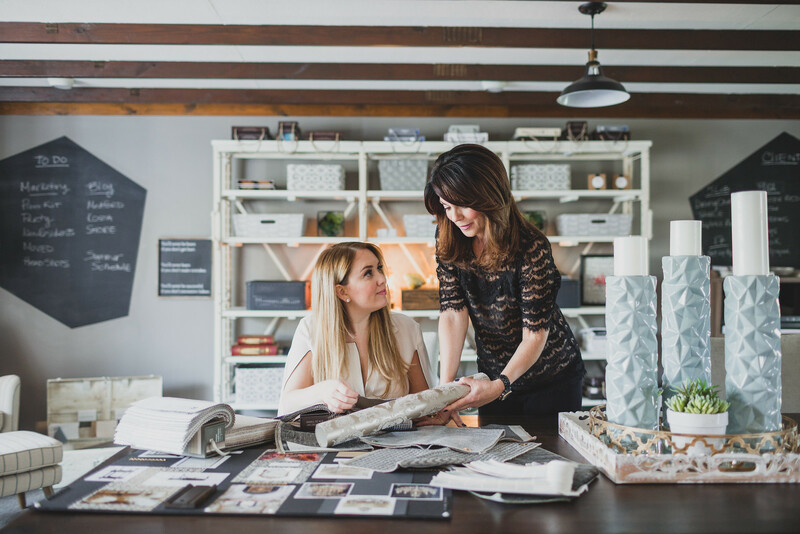 The mom-daughter duo of Bella B Home is all about honest-to-goodness design and giving the client the best possible collaborative experience. I chat with daughter Blair Britt on working with her mom, her design philosophy and about creating gorgeous tablescapes. Q: First, tell me about your company. BB: Bella B Home consists of me and my partner is my mom, Betty-Ann Kraft. We are a Mother-Daughter Interior Decorating Team. We started the company a little over 5 years ago as a hobby. From when I was young, my mom and I always loved spending time together and we knew we had a pretty special relationship. When we realized we both love to do interior decorating we decided to see if we can make this happen. So, we started with friends and family. At first, we had 2 or 3 really small clients. We worked really hard; we have a good rapport with each other and we have a really good business ethic. We understand that our clients are letting us into their home and we want them to feel comfortable with us. We want them to consider us family; we want to be their family. 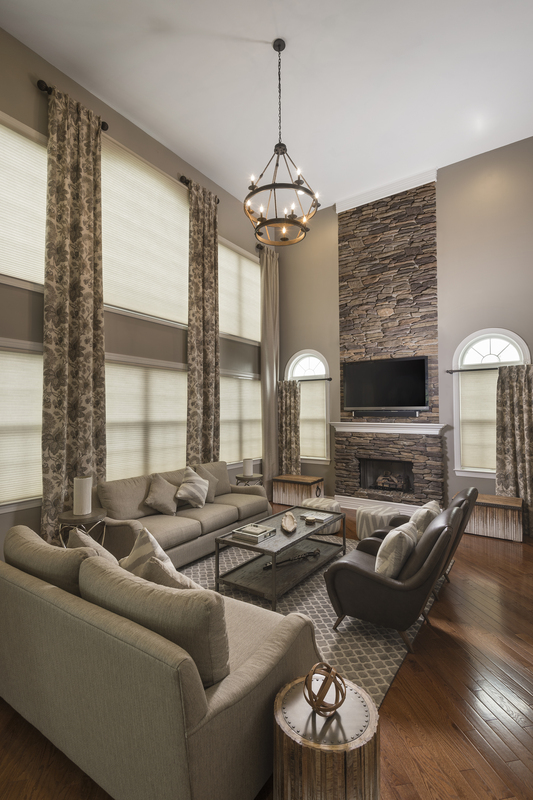 Our goal was to make our client’s homes beautiful and to let them share in the experience. That’s why we came up with the name “Bella B Home” because that was beautiful (bella in Italian) and both our names start with “B”. Q: Do you sometimes find it challenging to work with your mom? BB: It is actually pretty easy for us! Her strong point is running the company, fabrics and window treatments, where mine is more creating the vision and bringing that to life. We can be extremely honest with each other and it works well for us. Q: You are from a fashion background, so how did you transition from fashion into interior do you still draw inspiration from the fashion world? BB: I have a degree Fashion Merchandising Management from the Fashion Institute of Technology in New York. Then I also have a dual degree in Advertising and Marketing. While I was in New York I did 2 different internships; one was for a special events firm and then I started taking some courses in event planning. After that, I did another course in design and space planning. I was super fortunate I started out as a buyer and traveled all over. I had a great job and I was there 4 or 5 years. It was then that e-commerce started to boom and I switched over to an e-commerce buying company. I wanted to learn everything I could about running a business, how to manage my own website, how to do my advertising and marketing. I’ve always loved the idea of having this beautiful home for entertaining, being able to do tablescapes and cooking in this beautiful setting, and creating that beautiful vision for other people. After I felt that I had learned what I needed to run my company, I decided that I was going to go for this dream that I had, and I did! It still shocks me to this day that it worked! Q: What does your house look like and how would you describe your style? BB: My personal style is definitely more towards neutrals. I love a good print; I like solids, and I like gray. I also like rustic and a little vintage. So I have a bit of mix up! I still have that vision in my head of string lights hung out back at night around a fire pit; lots of candle light, comfy and cozy. I like that idea of wrapping yourself in a blanket and being cozy with your friends and with your family. That’s just the vision I have. Q: Do you have a favorite project that you’ve done up to date? BB: I have a few! But one unique project was when we worked with a family with 4 daughters. When the dad built the home, he made sure all the girls’ rooms were the exact same size so nobody was fighting over anything. Even the closets and bathrooms were the same size. We basically got to do the same room 4 times but each with a different theme for each of the girls. It was so much fun and we just love them. It was a blank canvas, same measurements, same everything but everybody wanted something different! Q: You also do party decorating, tell me about that. BB: Yeah, it’s like my hobby within my job and it’s my favorite thing to do. We do tablescapes for small events like a girls night or a party. They call us with an idea, wanting us to make the table look like it comes from Pinterest. We’ve done engagement parties, bridal showers, mother’s day and father’s day, Thanksgiving…we also do Christmas Decorating during the holidays. We specialize in decorating the full house for that special time of the year as well as decorating for Christmas Parties! We love being a part of this special time for our clients and we have the best time doing it. Q: Do you have in your head the ideal client, what would that look like? BB: It’s going to sound very cliché but we like nice people! When we go out we do a consultation, as much as they’re interviewing us, we’re interviewing them as well. Are you a nice person, what is your family like, what are your goals, what do you want out of this, do we want you to feel a part of it? We want this to be fun, we don’t want this to be a stressful situation. We just promised ourselves and we’ve stuck to it till this day: we don’t want an experience that is going be negative or bad so we look for that client that we have a chemistry with, that we know we can work with. Q: What makes you and your mom unique as a team and what makes you unique as a company? BB: We are the complete opposite in every way, shape or form but our values and who we are could not be more similar. She’s instilled a lot of positive and amazing things in me and I feel very blessed every day that I could do what I do and I know she would agree with me on that statement. The dynamic between the two of us sometimes really is very unspoken. I know what she’s thinking, she knows what I’m thinking. 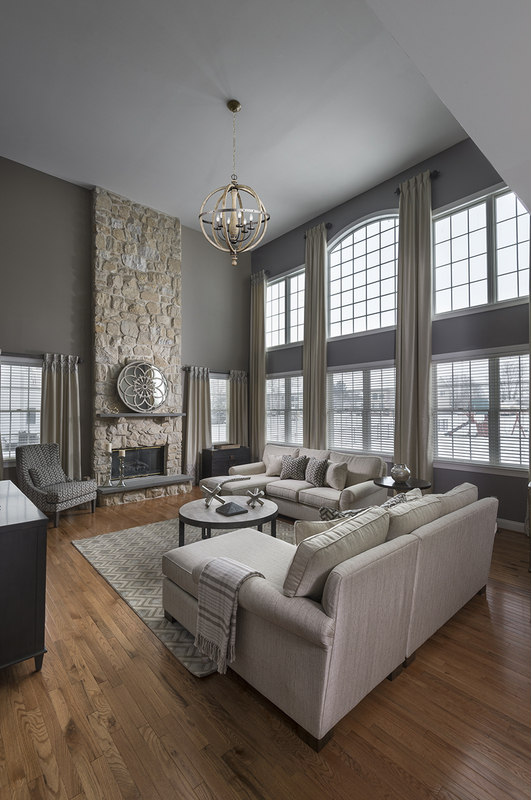 Having an interior designer is a luxury, it is something that people are super blessed to be able to do. Our goal is to make that experience a happy one. What we really want at Bella B is to be like a family. Everybody that we use, every single company that we work with is a family business or they’ve been in business for over 40 years. It’s a trust thing with us – we need to know that we can trust them in our client’s home when we’re not there and that we trust that they’re going to come thru for our client. So, the biggest thing about us would be our value, our heart, the way we care and the fact that we want to have a really fun experience with you in designing your home. This entry was posted in Article: Press and tagged Bella B Home, decor, Decoration ideas, decorato, Design interior, home decor, home decor ideas, Home decorators, Home design, Home designer, Home interior design, House decoration, interior, Interior Decorating, Interior decorating ideas, Interior Decorating Philadelphia PA, Interior Decorator Philadelphia, Interior design ideas, Interior Design Philadelphia PA, interiors, lifestyle, Living room decorating ideas, luxury home, philadelphia on July 26, 2017 by Blair.